I know it's only November but within a few weeks we will be in full speed toward the Christmas season. Dubai our Sandbox and Coochy Coo, Dubai baby apparel and accessory retailer as teamed up to offer you a beautiful advent calendar to take you into the festive season. It's a great way to get the kids, friends, colleagues and the whole family into the holiday mood. 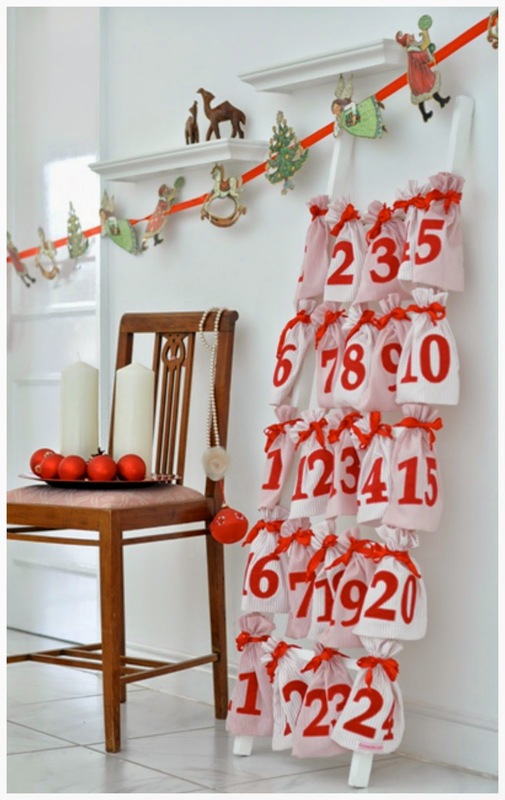 This advent calendar use to count or celebrate the days in anticipation of Christmas is handmade with lovely textile. All materials are 100 % cotton and imported from Europe (but made and personalised in Dubai), and come in limited quantities making them a very unique Christmas present. Winners will be announced via Facebook on Tuesday November 18th. Good luck! Prize to be collected at Coochy Coo office. Check out coochycoo.net to view the a range of beautiful children’s Christmas advent calendar, stockings, Santa bags, pillows, bathrobes, aprons and T-shirts which can be personalised with the name and the birth date of the child. Company founder and General Manager Tanja Peters commented “We believe Coochy Coo offers our discerning customers a welcome alternative to Dubai's ‘big brand’ retail world where it is hard to find unique and trendy presents. " Look out for Coochy Coo’s Craft Tent every Friday at Ripe Market’s new location at Zabeel Park where kids can craft their own Loom bands and stitch their first Tooth Fairy Pillows. Customer enquiries can be submitted to shop@coochycoo.net or by calling 050 6577 982. 5min Makeup - School run ready!